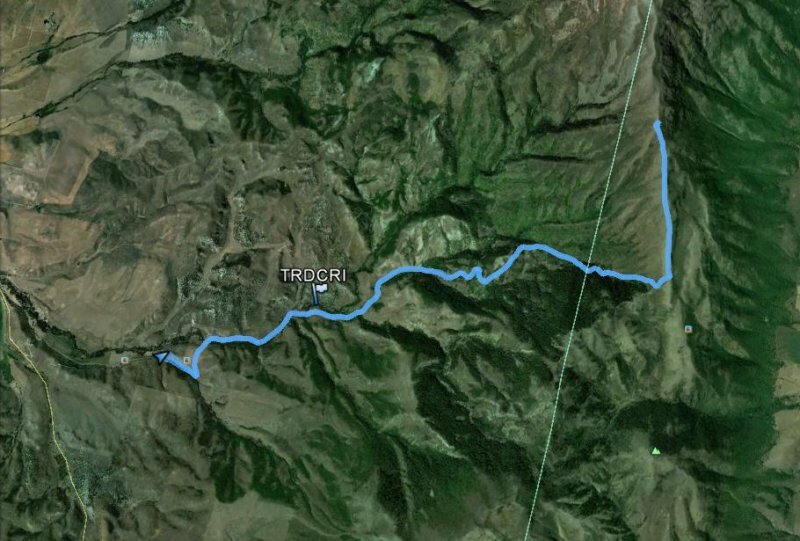 The Third Creek hike began with a beautiful drive through Cache Valley and a stop along the way at the Standing Rock in Weston Canyon. After arriving at the Third Creek parking lot, we started our hike surrounded by hillsides covered with brilliant yellow blooms of big leaf and arrowleaf balsamroot. Along the way we encountered three dirt bikers coming down the trail, but they were the only people we saw for the entire hike. Eventually we came to a point were the trail turned left, but we followed an old trail on the right because it was shorter. 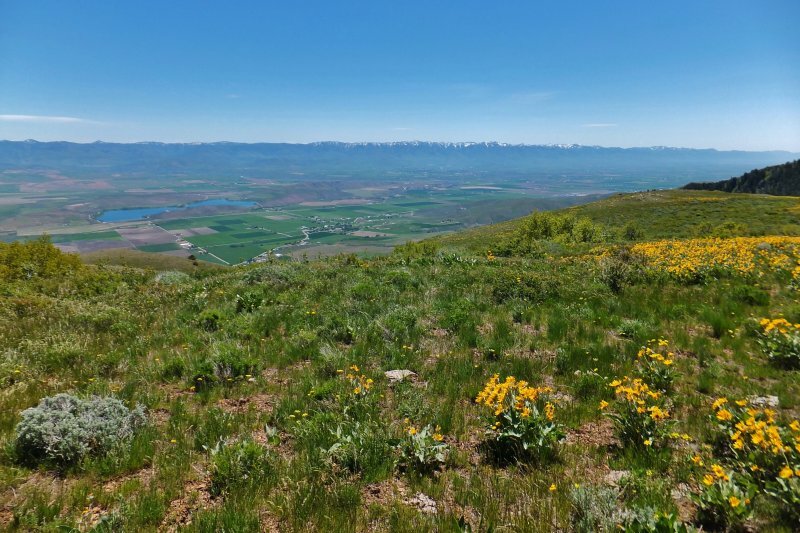 Upon reaching the Oxford ridge, we were treated to an outstanding view of northern Cache Valley to the east and Weston Canyon to the west. 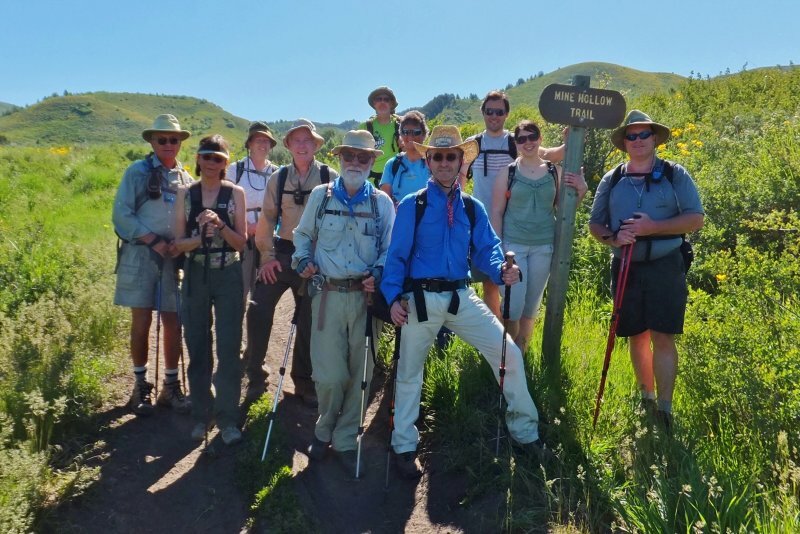 Most of the group hiked north on the ridge, but not far enough to see Oxford Peak. Dan, Terry and Jim stayed longer on the ridge while the others hiked down, but everyone met up at a shady spot near the parking lot. This was a great nature experience. Balsamroot lined the trail, with blooms of larkspur, woodland star, evening primrose, wild hyacinth, chokecherry, serviceberry, mulesears, and more. On the ridge we found Indian paintbrush, locoweed, penstemon, and mountain dandelions. We were serenaded by the songs of robins, chickadees, yellow warblers, orange crowned warblers, western tanagers, a Swainson's thrush and a hermit thrush, and we saw mountain bluebirds and Franklin's gulls. Near the top of the Oxford Ridge we found a cattle pond with several large salamanders, amd Dan and Terry saw a rattlesnake. Twelve Cache Hikers participated: Jim (the hike leader), Terry, Sue, Dave P, Dan, Denis, Rick, Roddy, Gary, Stephanie, Alex, and Anne. 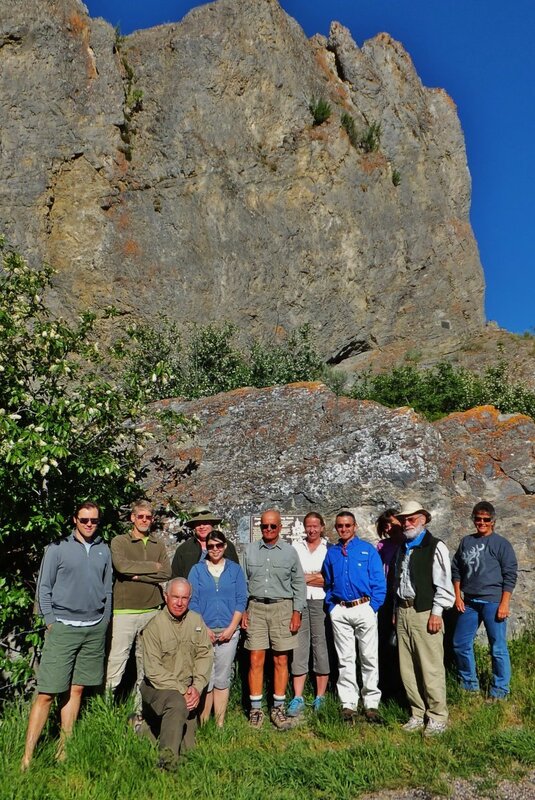 Everyone enjoyed the hike and appreciated the beautiful scenery, flowers and wildlife of the Oxford Mountains. At Standing Rock, along the way to Third Creek.